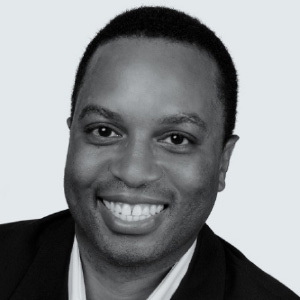 Michael McAfee leads PolicyLink executive and program teams in strategic planning, policy development, policy campaign strategy, capacity building, and programmatic design and implementation at the local, state, and national levels. He came to PolicyLink in 2011 as the inaugural director of the Promise Neighborhoods Institute at PolicyLink. Under his leadership, PolicyLink has emerged as a national leader in building cradle-to-career systems to ensure that children and youth in our nation’s most distressed communities have a pathway into the middle class. Before joining PolicyLink, Mr. McAfee served as senior community planning and development representative in the Chicago Regional Office of the U.S. Department of Housing and Urban Development (HUD). He served in the United States Army, completed Harvard University’s Executive Program in Public Management, and earned his Ph.D. in education in human and organizational learning from the George Washington University.